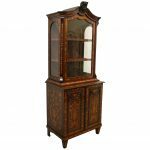 Circa 1840, early Victorian breakfront bookcase in quality Cuban mahogany. 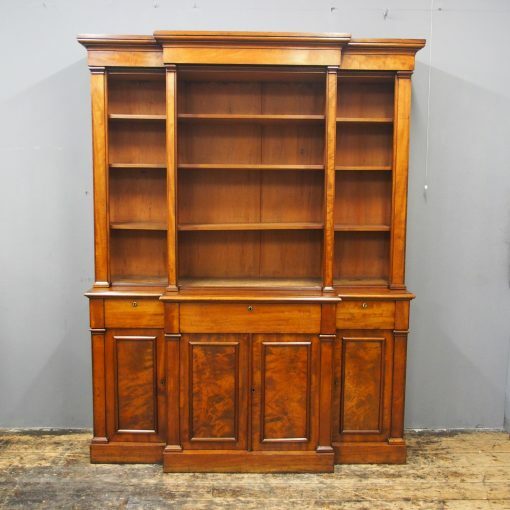 The moulded cornice is over a plain frieze and there are 3 bookcase sections, each with 3 adjustable shelves, separated & flanked by pilasters with simple capitals. 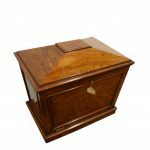 The base with 3 frieze drawers has its original Bramah locks (a sign of quality) and is over 4 flame mahogany panelled doors opening to deep shelved interiors, all on an enclosed plinth base. 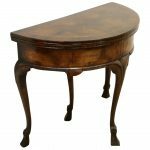 Size 216 cm high x 166 cm wide x 49 cm deep. We send approximately 4 emails per year. We will not pass on your details to third parties. You can unsubscribe at any time.